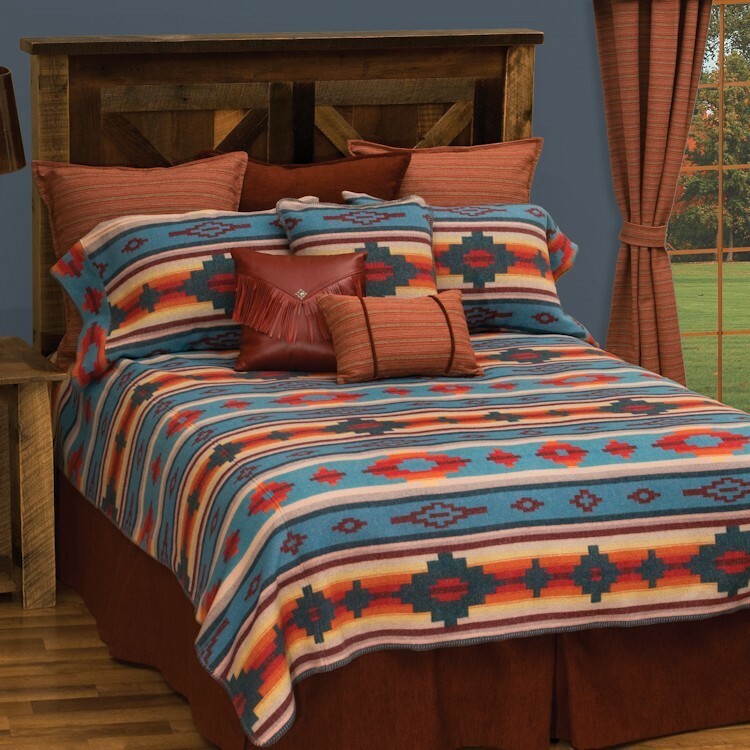 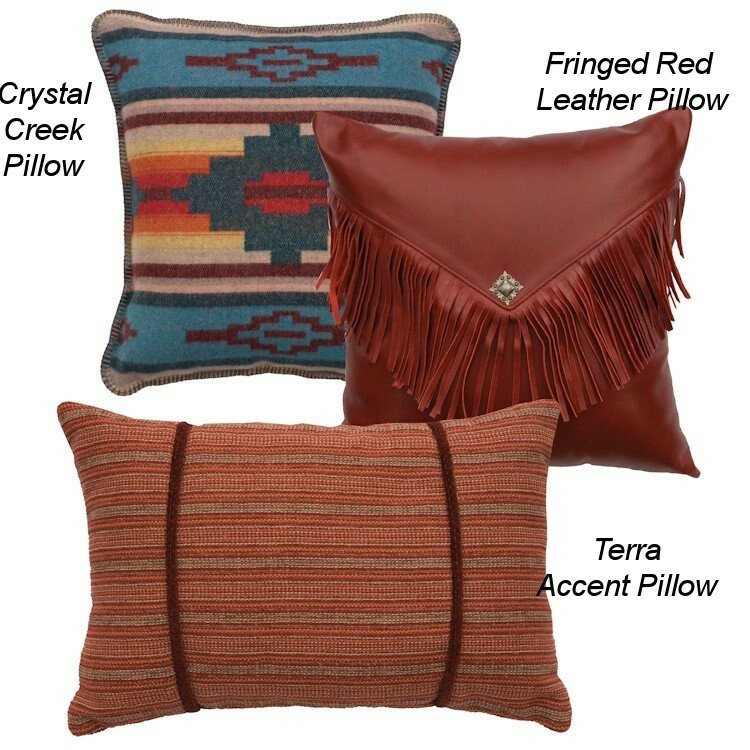 Hot desert colors and a Native American inspired pattern are the center piece of the Crystal Creek Western Bedding. 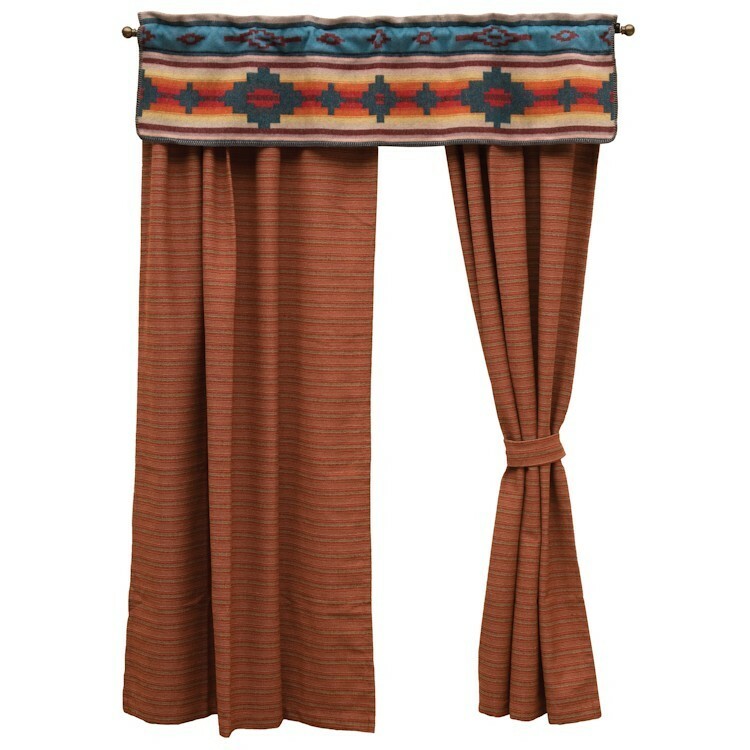 Made from a single layer of fabric with a decorative blanket stitch edging. 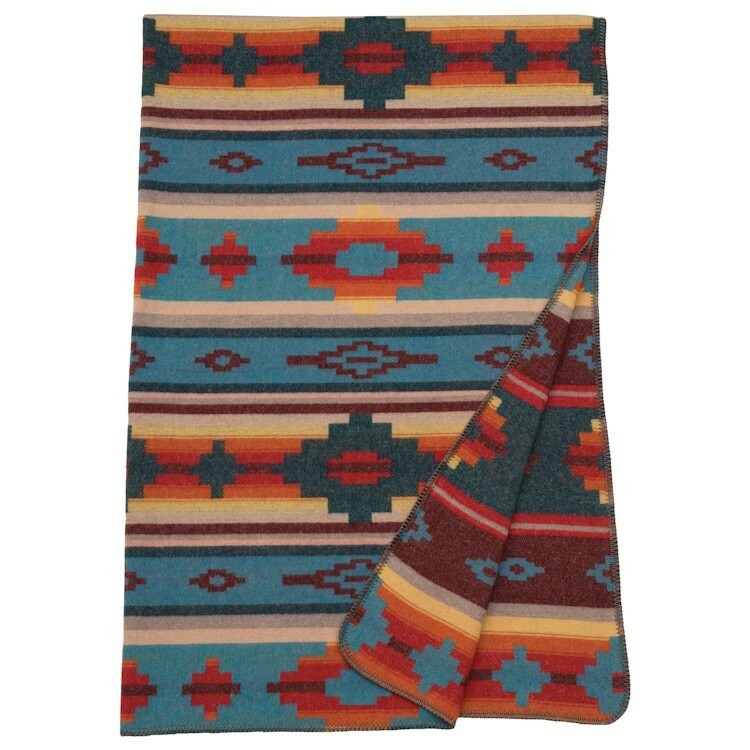 Predominate colors are turquoise, orange and red with a hint of yellow, gray and cream. 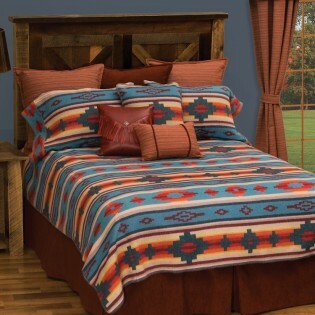 The pillow shams echo the coverlet fabric and the tailored dark red bedskirt adds depth and texture to this ensemble. 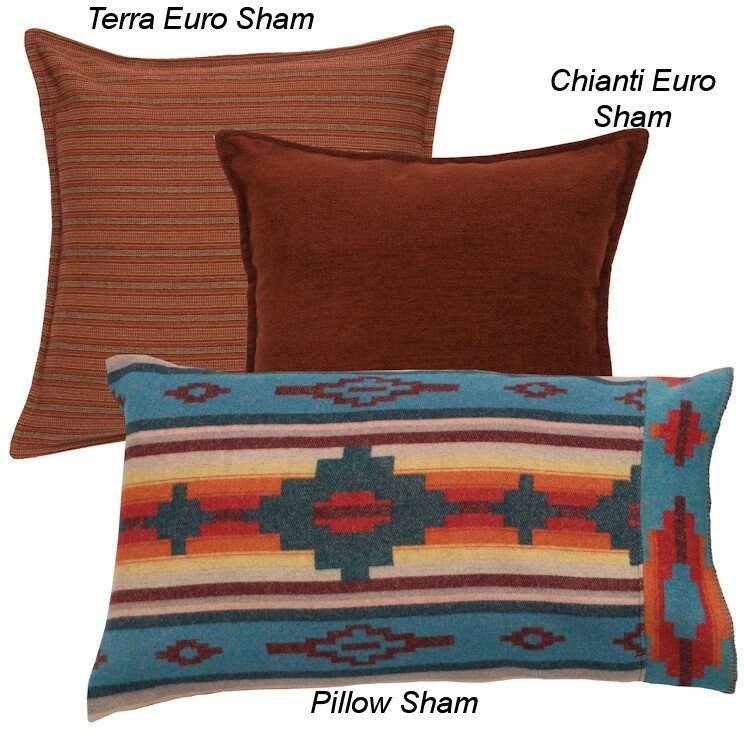 Three euro shams (2 Textured sham in sunset colors and 1 that echos the rich dark red of the bedskirt) complete this western bedding ensemble.